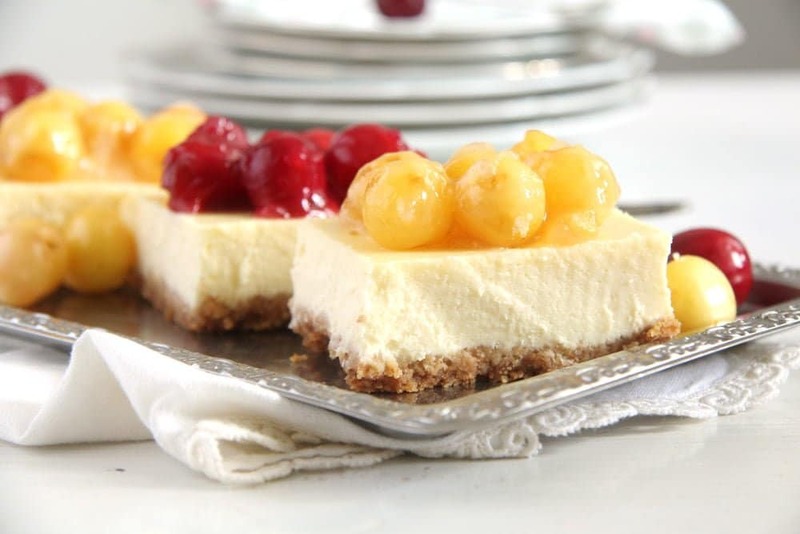 Wonderfully creamy cheesecake topped with homemade cherry pie filling. 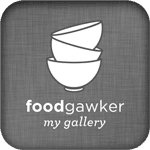 Jamie’s blog is already 5 years old, so there are really lots and lots of recipes one can choose from. I picked this wonderful cherry cheesecake because it fits into my new series, which is Cheesecakes. Cheesecakes are my favorite kind of cakes probably, and I am making them so often, that I decided to make a little series featuring some of my favorites and some of the last I’ve made for my family and friends. Jamie herself doesn’t like cheesecakes much, but she still makes them, her family, her husband in particular, enjoys eating a good cheesecake very much. That’s lucky, because this is how I came to find one of the best cheesecakes I have eaten. You won’t believe how deliciously creamy and good this cherry cheesecake is. Top it with some freshly made cherry pie filling and you are in heaven. I haven’t changed the original recipe much. I replaced the Graham Crumbs with oatmeal cookies because there are no Graham Crumbs to be bought around here. And I made the cherry pie filling fresh also because you cannot buy the ready-made product in Germany and because I have a huge cherry tree in the garden and the cherries are finally ripe. To make the Cherry Pie Filling I chose a recipe found on – Beyond the Chicken Coop. 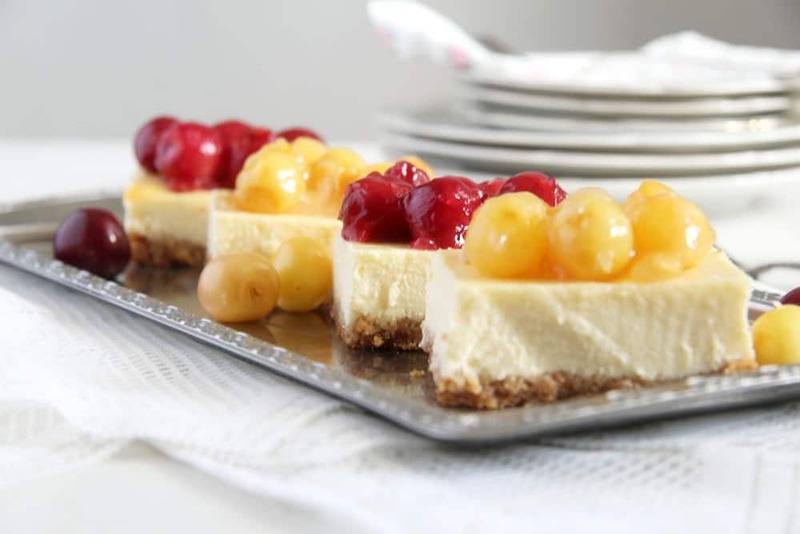 The result was absolutely delicious and I will make this cheesecake again and again, either topped with cherries or any other kind of fruit. Preheat the oven to 160 degrees Celsius/ 325 degrees Fahrenheit. Line a baking tin (33x23 cm/13x9 inch) with tinfoil. You could make some handles by leaving the tinfoil hang over the edges of the pan. However, my tinfoil was not strong enough, so I ended up cutting the cold cheesecake in the pan and taking out the squares. It worked well that way. Crumb the oatmeal cookies in a food processor. Melt the butter in a small pan, add it to the crumbs and combine thoroughly. Press this mixture onto the bottom of the pan. Place the cream cheese in a large bowl and whisk with the hand-mixer for a few minutes until kind of fluffy. Scrape down the cream cheese from the sides of the bowl a couple of times in between. Add the flour, sugar and vanilla and combine. Beat in the sour cream. Start adding the eggs, one at a time, combining thoroughly after each addition. Pour the mixture over the crust and bake for 40 minutes. Cool and refrigerate for several hours or overnight before serving. To make the cherry pie filling start by pitting the cherries. Place them in a saucepan and add the rest of the ingredients. Stir over medium heat until the sugar and the cornstarch are dissolved. Bring to a simmer and cook until the mixture thickens, stirring very often. Let cool and add on top of the cheesecake shortly before serving. 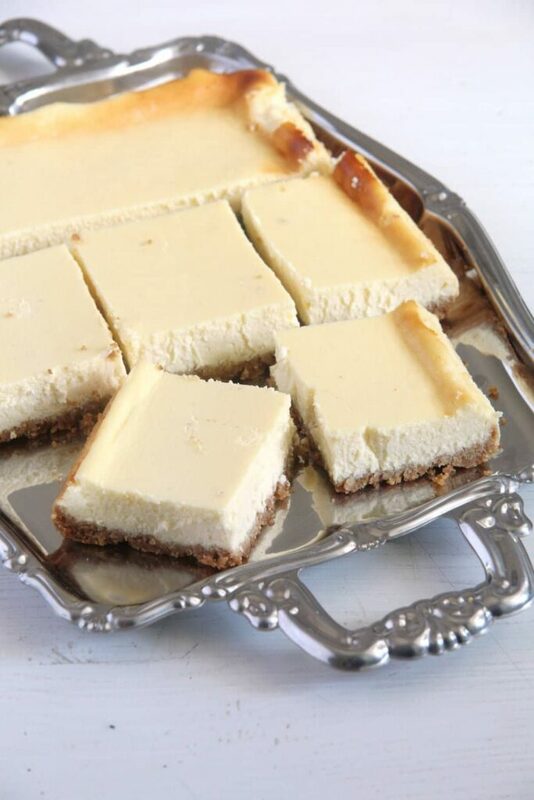 MMM….I love cheesecake bars like these but don’t make them often. Your cherry filling looks amazing too! They look delicious! I love that yo made the cherry pie filling homemade, and with two colours! It is so pretty!! What a delightful choice for the SRC reveal. I love cheesecake but hate worry about the water bath leaking into my springform pan. The use of a 9×13 pan for this version is brilliant and I can’t wait to give it a try. I love that you used different types of cherries to get the dual-colored toppings. So fun! 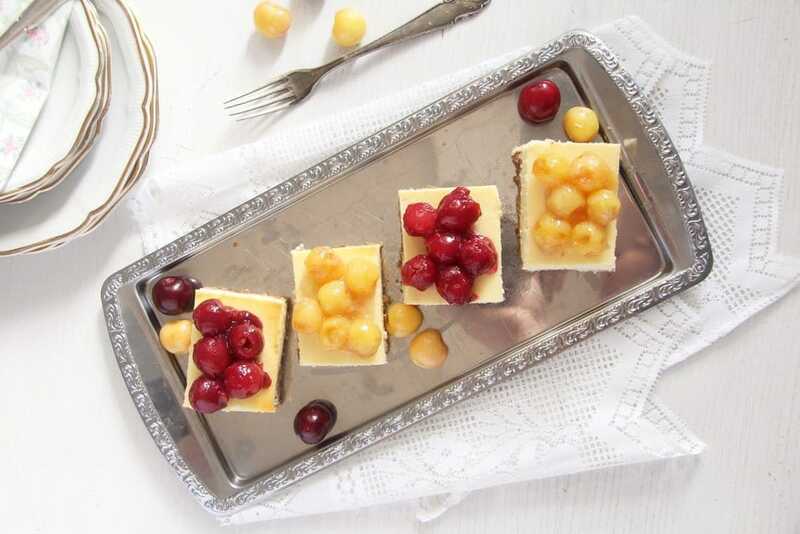 Who doesn’t love a good cheesecake bar? Love the idea od cherry filling. Yellow ones are new to me, I have never had yellow cherries before! Will try to look for them! I feel like every other time I come to your site it’s SRC time. Lol. I guess time is just flying by this summer because I know that’s not true! LOVE me some cheesecake, but add some cherry pie filling to that and OMG, HEAVEN! This looks delicious, girlfriend! Cheers! I love the idea of cherry filling, this looks delicious! Such beautiful cheesecake slices! I love the alternating color of toppings. Looks incredible. 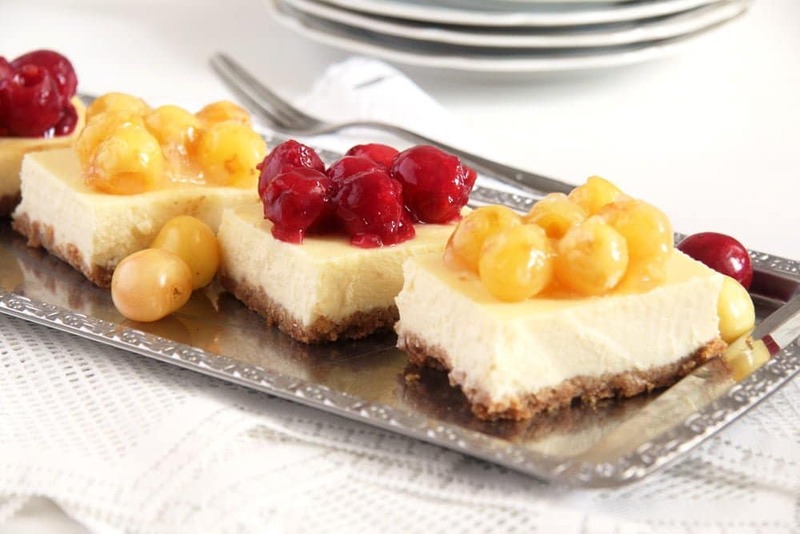 I love cheesecake and the homemade cherry filling looks amazing! Great pick for SRC! 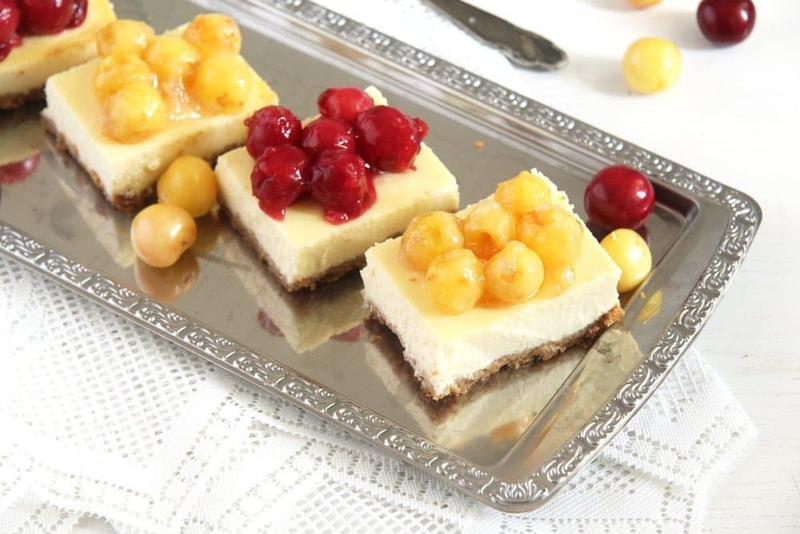 These cheesecake slices with the cherry topping look absolutely irresistible! love that oatmeal cookie crust! cherry season is my favorite time of year and this is a great way to highlight them! Oh wow, to have a cherry tree! That’s awesome. I like that you made your own pie filling anyway, looks much prettier than the canned version. Beautiful cheesecake. My husband doesn’t care for the dessert, but I love it! 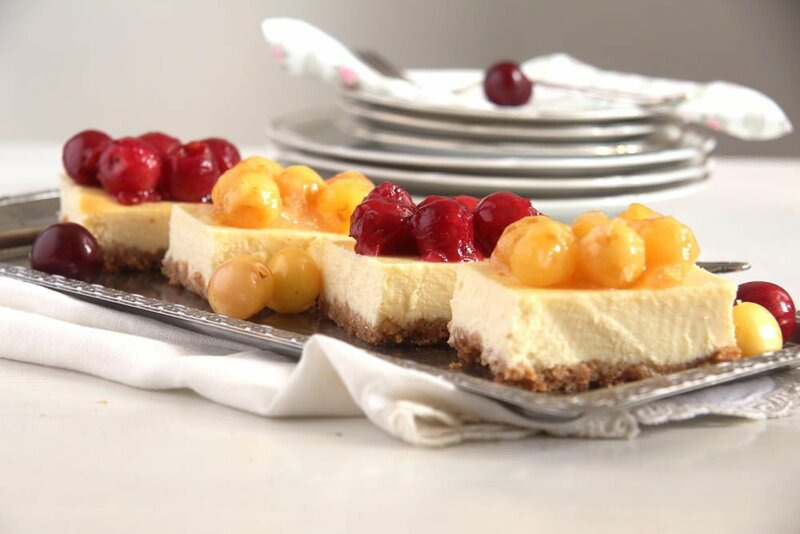 Mmmm…cheesecake with fresh cherries sounds so delightful and your gorgeous photos are making my mouth water 🙂 Such a genius idea to use oatmeal cookies in the crust!